Associate Professor Dejun “Tony” Kong. A Bauer College faculty member who studies trust, positive organizational behavior and workplace diversity was recently recognized for producing some of the year’s best research in the discipline. Dejun “Tony” Kong, an associate professor in the college’s Department of Management & Leadership has received a number of recognitions for the impact of his research. 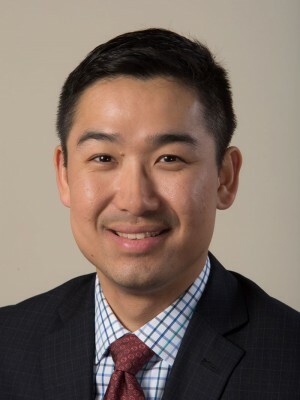 Kong was recently named an Ascendant Scholar 2019 by the Western Academy of Management and promoted to an Associate Editor of the Journal of Organizational Behavior. He also earned 2018 Editor Commendation Award from the Journal of Business and Psychology for his novel research on implicit mindfulness theory published in the journal. Additionally, Kong’s research on leader humor published in the Academy of Management Journal was recently cited as one of the 25 most-read papers in 2018 according to the Academy of Management Insights. Both papers stress the importance of building a positive workplace where leaders care about how employees think and feel. The Editor Commendation Award is given to 12 articles published in the Journal of Business and Psychology, which typically receives about 600 submissions from around the world and publishes fewer than 10% of these submissions a year. The Academy of Management Journal, one of the top journals in management, receives over 1,000 submissions around the world and publishes fewer than 10% of these submissions a year. In the Journal of Business and Psychology paper, entitled “Lay Beliefs about Attention to and Awareness of the Present: Implicit Mindfulness Theory (IMT) and Its Workplace Implications,” Tony Kong and Phillip Jolly (a former Bauer College Ph.D. student and now an Assistant Professor of Hospitality Management at Penn State) introduced the notion of implicit mindfulness theory and proposed a reliable and valid measure to assess employees’ beliefs about the fixedness versus malleability of mindfulness (attention to and awareness of the present). In the Academy of Management Journal paper, entitled “Leader Humor as an Interpersonal Resource: Integrating Three Theoretical Perspectives,” Tony Kong and colleagues (Cecily Cooper at the University of Miami and Craig Crossley at the University of Central Florida) found that leader humor made employees feel positive and facilitated relationship building, thus motivating employees to be good citizens who went above and beyond their job responsibilities.